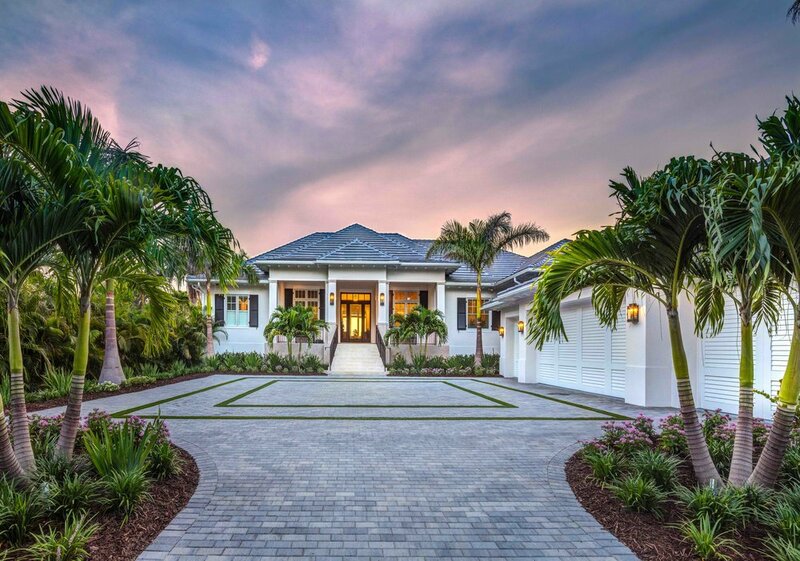 Situated on over one acre of pristine waterfront property, this luxurious custom home was conceived in collaboration with the customer and delivered by Heritage Builders, Sarasota’s finest custom home builder. Completed in early 2018, this sprawling estate features a sophisticated West Indies architectural design with panoramic views of Sarasota Bay. Approaching the home, owners and guests are welcomed by an expansive motor court drive leading to the grand entry. 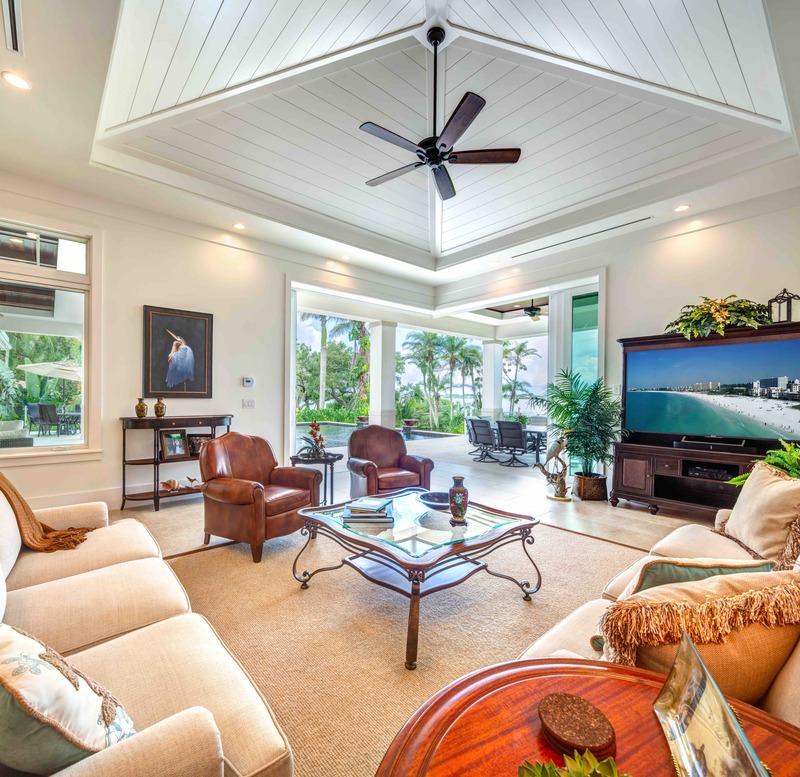 Through the custom mahogany entry door, you are swept into the elegantly designed formal living room with tented vault ceiling, coral stone-clad fireplace and endless vistas of the outdoor living area, pool and Sarasota Bay. Comprised of nearly 5,500 square feet of living area, this elegantly appointed custom residence consists of four bedrooms with en suite bathrooms, formal and informal dining spaces, study, hobby room and a chef’s grade kitchen with stainless steel Wolf and Subzero appliances. If you have interest in designing and building your dream custom home, please feel free to contact Heritage Builders, Sarasota’s most distinguished custom home builder. One of our design professionals would be happy to speak with you today at 941-328-3272.